Connect Surveybot with Tableau and do in-depth analysis on your survey responses. 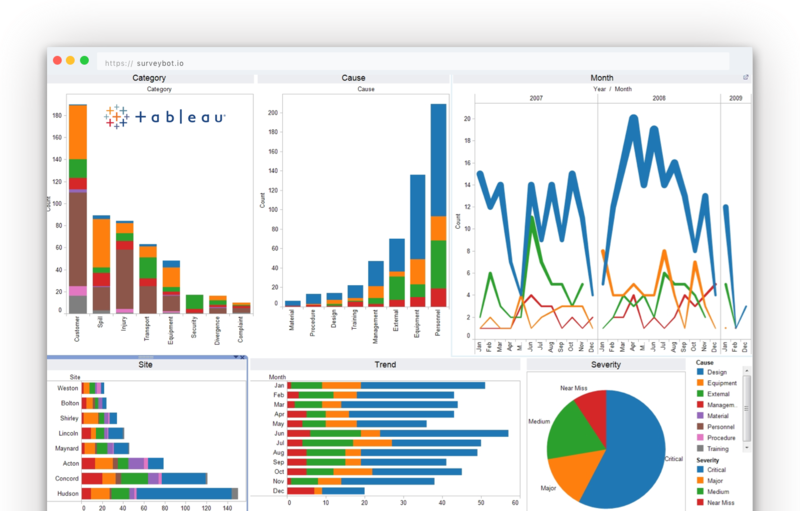 Tableau is an industry leading business intelligence tool that focuses on data visualisation, data discovery, and interactive dashboard creation. This tool will allow you to optimize the information you collect from your Surveybot surveys and help you make better decisions for your business or organization. Note: Your data can be set to update/refresh by using Tableau Server or Tableau Online or you can manually refresh from Tableau Desktop on its own. Find more info on Tableau refresh settings here. We hope you enjoy this new integration! Already made a cool visualization with information from Surveybot? We’d love to feature it! If you want, you can share it with us here. If you have any questions you can contact us here or comment below.